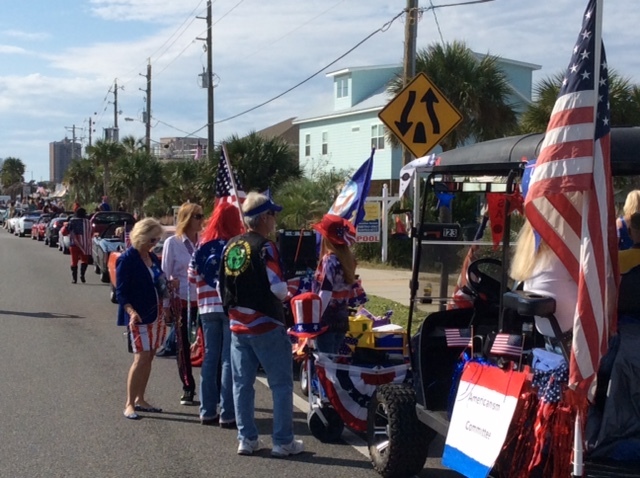 Participants line up for the annual Pensacola Beach Veterans Day Parade, hosted by the Pensacola Beach Elks Lodge. The parade begins at Avenida 15 and continues down Via De Luna Drive and ends on Casino Beach, usually lasting approximately 30 minutes. Many local groups participate in this parade and gives locals as well as visitors a chance to celebrate our veterans. Ron is the owner operator of Gulf Breeze Realty with James L. Lively the broker. Together with Larry Tate, Suzanne McCarthy and Trey Pfeiffer GBR councils clients from around the country on their real estate buying and selling decisions. “ It’s our job to make sure the client ask all the right questions to insure a good buying or selling decision.